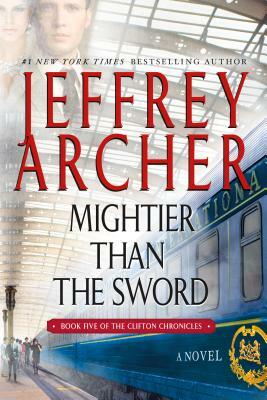 With more than 2 million copies in print, the Clifton Chronicles has taken #1 worldwide bestselling author Jeffrey Archer to a whole new level. And the saga continues. . .
Bestselling novelist Harry Clifton's on a mission to free a fellow author who's imprisoned in Siberia-even if doing so puts Harry's own life, and life's work, in danger. Meanwhile, his wife Emma, chairman of Barrington Shipping, is facing the repercussions of an IRA bombing on the Buckingham. Some board members feel she should resign. Others will stop at nothing to ensure the Clifton family's fall from grace. In London, Harry and Emma's son, Sebastian, is quickly making a name for himself at Farthing's Bank. He's also just proposed to a beautiful young American, Samantha. But the despicable Adrian Sloane is only interested in one thing: Sebastian's ruin. Sir Giles Barrington, now a minister of the Crown, looks set for even higher office-until a diplomatic failure in Berlin threatens his prospects. Once again it appears that Giles's political career is thrown off balance by none other than his old adversary, Major Alex Fisher. But who will win the election this time? And at what cost?